A true television legend has died. 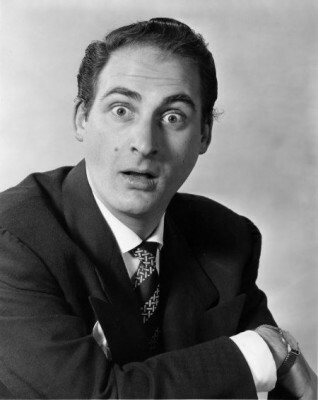 Sid Caesar, who influenced generations of comedy writers and performers, passed away earlier today in Los Angeles. He was 91 years old. Born to immigrant parents in 1922, Caesar made his first television appearance on Milton Berle’s Texaco Star Theater in the late 40’s. He soon met NBC president Pat Weaver and landed his first TV series, The Admiral Broadway Revue, with Imogene Coca. In 1950, he appeared on the first episode of Your Show of Shows, a 90-minute variety show. The series featured comedy sketches, satires, monologues, musical guests and production numbers — an early predecessor to Saturday Night Live (which Caesar guest-hosted in 1983). On-screen talent included Caesar, Carl Reiner, Howard Morris, and Imogene Coca. Backstage, the show’s legendary writing staff included Mel Brooks, Neil Simon, Mel Tolkin and Danny Simon. Your Show of Shows ran until 1954. Caesar moved to Caesar’s Hour and then to The Sid Caesar Show. In later years, he starred on Broadway in Little Me, wrote two autobiographies, appeared in movies like It’s a Mad, Mad, Mad, Mad World and Grease, and made numerous guest appearances. Caesar is survived by a son, Richard, and two daughters, Michele and Karen. What do you think? Do you have any particular memories of Caesar’s work? We are losing all the greats…………..